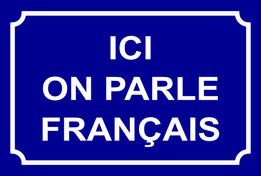 We continue to add many helpful French resources (vocabulary lists, songs, videos, online worksheets, online books, interactive games) for you and your child to enjoy. This serves as a useful and educational tool for you and your child to practice and review concepts learned in class and a great way to stay updated on your child's French program. 1. Children need many opportunities to experience language at home. He/she needs to practice expressing his/her thoughts, ideas and feelings. Sharing your thoughts by “thinking aloud” as you go about completing routine tasks helps develop your child’s listening skills as well as exposes your child to new ideas and information. 3. Enroll your child in music lessons. Music will enhance listening skills and help develop the brain areas involved in language and reasoning. 4. Your child should be free to read for pleasure in French or in English and be encouraged to talk about his/her experiences at school. 6. Expose your child to French outside of school through participation in the French arts and French cultural events in the community. 7. Consider taking a French course for adults. 8. At any age, watching a TV program together and then discussing it can help to develop analytical and debating skills. 9. Playing games of all kinds, at all ages can develop hand-eye coordination, observation and reasoning skills, memory, vocabulary and math skills. 10. While a trip to the zoo or museum is a wonderful educational opportunity, your child can learn as much during a shopping trip. -Encourage your children to listen in class and ask questions when necessary. -Create their own dictionary or create word searches with the theme vocabulary.